Aside from The Beatles and perhaps the Beach Boys, no mid-’60s rock group wrote melodies as gorgeous as those of The Zombies. 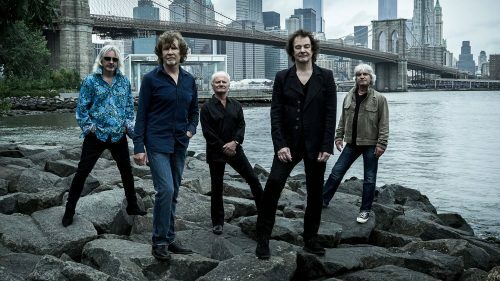 Dominated by Colin Blunstone’s breathy vocals, choral backup harmonies and Rod Argent’s shining jazz-and classical-influenced organ and piano-the band sounded utterly unique for its era. Their 1968 album, Odessey and Oracle, a near-masterpiece of pop/psychedelia, is ranked 100 on Rolling Stone magazine’s list of the 500 Greatest Albums of All Time. VIP Package includes one premium seat ticket, meet and greet with band member and a signed tour poster.